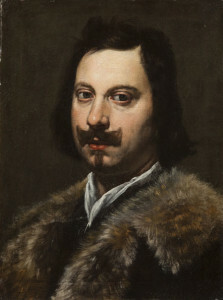 Torricelli was born on October 15, 1608, in the northern Italian town of Faenza. An excellent student, he went to Rome to study at the Collegio di Sapienza where he heard about GALILEO GALILEI’s work on gravity and motion. In 1641 Torricelli moved to Florence and served as secretary and aide to Galileo, who by that time was blind and suffering from arthritis. Only three months later Galileo died, but not before he had given Torricelli an interesting problem to pursue—how to make a vacuum. In 1643 Torricelli filled glass tubes with mercury a dense liquid metal, covered the open end with his finger, and inverted it into an open bowl of mercury. The mercury fell, but not all the way out. It stayed in a column about 30 inches (76 centimeters) high above the mercury in the bowl. He noted that the exact height of the mercury column varied slightly from day to day. Torricelli explained these results in a 1644 paper by claiming that we live at the bottom of an ocean of air hundreds of miles high, with a density about 1/800 that of water. The weight of all that air pressed down on the mercury in the bowl, balancing the weight of the mercury held up in the tube. In pursuing Galileo’s challenge to make a vacuum, Torricelli discovered the effects of air pressure, in effect creating the first barometer, a device to measure air pressure. The region above the mercury in Torricelli’s tube was a vacuum, as there was no way for air to get in through the mercury. No one had ever created a sustained vacuum before; many scientists had believed it was impossible to create a vacuum. Torricelli observed that light and magnetism were conducted through the vacuum as well as through the atmosphere. Torricelli worked on a variety of other topics in mathematics, fluids, and motion. He focused on ways to calculate and describe cycloids, curves formed by points rotating on the edge of a spinning circle. He discovered that liquid flowing from the bottom of an open container leaves with the same speed as if it had fallen a distance equal to the containers height, which was later known as Torricelli’s theorem. In 1644 he published Geometric Works, which described his conclusions on the motion of fluids and projectiles. He died when he was only 39, in Florence, Italy, on October 25, 1647. Torricelli’s discovery of the effects of air pressure and his development of the principles of the barometer opened investigations into the relationship between air pressure, altitude, and changes in the weather. His creation of a vacuum challenged scientists to find other ways to create vacuums and to explore their properties. Soon after Torricelli announced his experiments with mercury ­filled tubes, French mathematician and physicist BLAISE PASCAL determined that thinner air at a high altitude has a lower air pressure. Conducting experiments with a “Torricellian tube,” Pascal found that mountain air supported a mercury column centimeters shorter than one at the base of a mountain. Pascal’s conclusion amounted to evidence of the physical reality of the “heavens” or outer space, which was traditionally presumed to be unpredictable and unlike Earth. Pascal also used the device, known as a barometer, to predict the weather: he observed that a drop in air pressure often precedes rain or snow. Barometric pressure is a standard part of any weather report today, and one of the units used to measure pressure, a torr, is named in honor of Torricelli. Contemporary barometers have come a long way since Torricelli’s tubes. As mercury is hazardous to handle, most barometers now are built around a vacuum chamber with flexible walls, and are called dry or aneroid barometers. Because air pressure decreases with altitude, aneroid barometers are also used in altimeters in airplanes to tell pilots how high they are above ground. Modern weather forecasting and aviation both trace back to Torricelli. As soon as Torricelli showed that making a vacuum was possible, scientists looked for other ways to make them. German physicist Otto von Guericke (1602­1686) made a practical air pump in 1645, modeling it on a water pump. This led to other experiments showing that sound (unlike light) cannot travel in a vacuum and both fires and animals die without air. Progress in identifying air as real and having measurable mass was a first step in recognizing a diversity of gases with unique properties, fundamental concepts in modern science.